The results of the summerschool will be displayed in ALAN Istanbul Gallery on 26.07.2014 from 16:00-19:00. 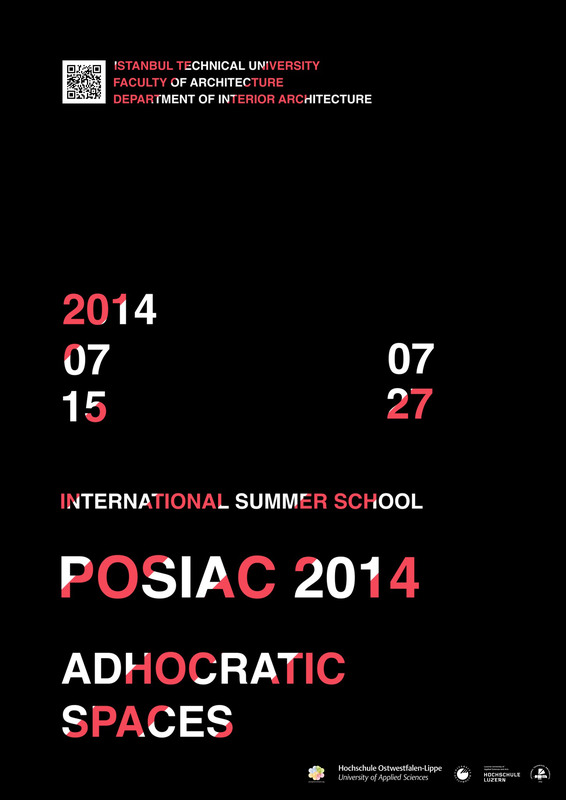 The 3. International Summer School of Perception of Space in Architecture and Culture (POSIAC) will be held in Istanbul under the theme “Adhocratic Spaces” between the 15.07.14 and 27.07.14. 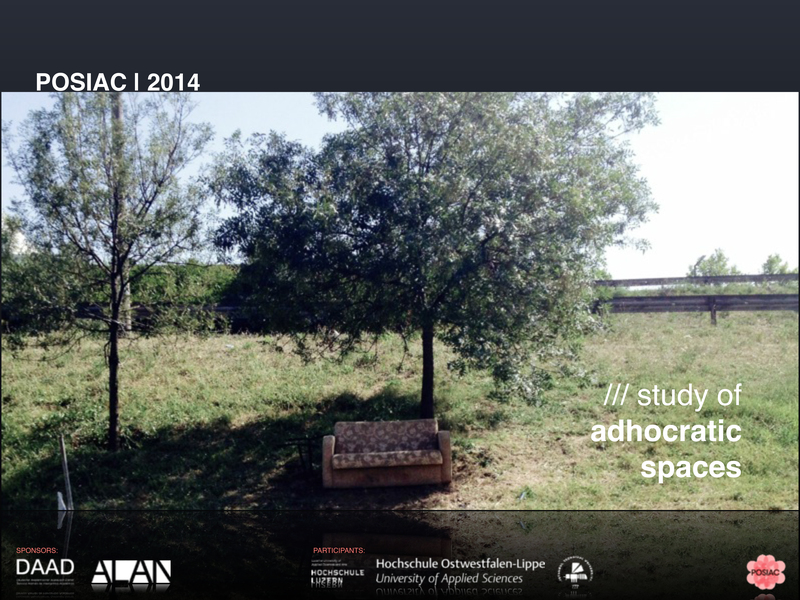 This year’s POSIAC:AS Summer School is specifically dedicated to an urban organism based on emergent spaces without regard for any imposed rules. The city offers a system of flexible and informal organisations also understood as Adhocratic Spaces. The aim is to tackle these Adhocratic Spaces throughout the affordances of urban patterns and behaviours which potentiate an interior resonance.